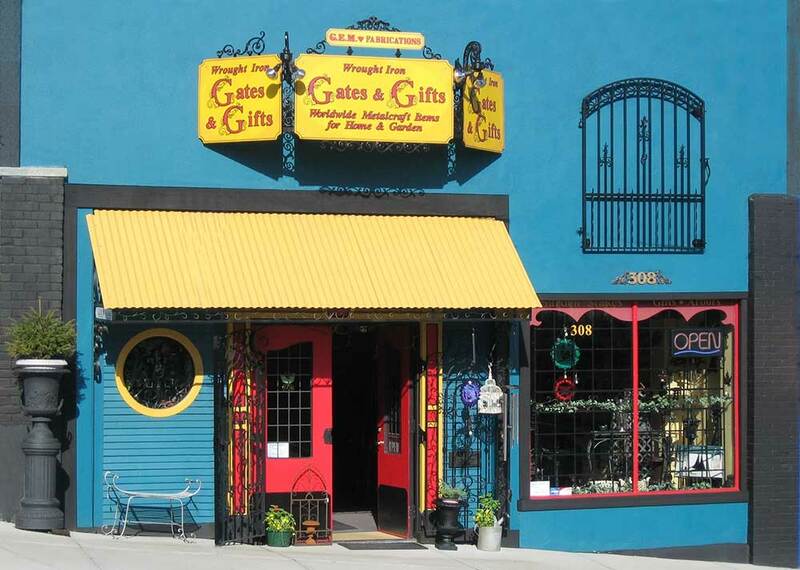 In Nanaimo’s Old City Quarter, GEM Gates & Gifts displays an exciting collection of crafted metalwork, “Steel Art” by Laura, lots of local metal artists and all kinds of other worldwide metalcraft. Laura brings in beautiful pieces from all over the world. 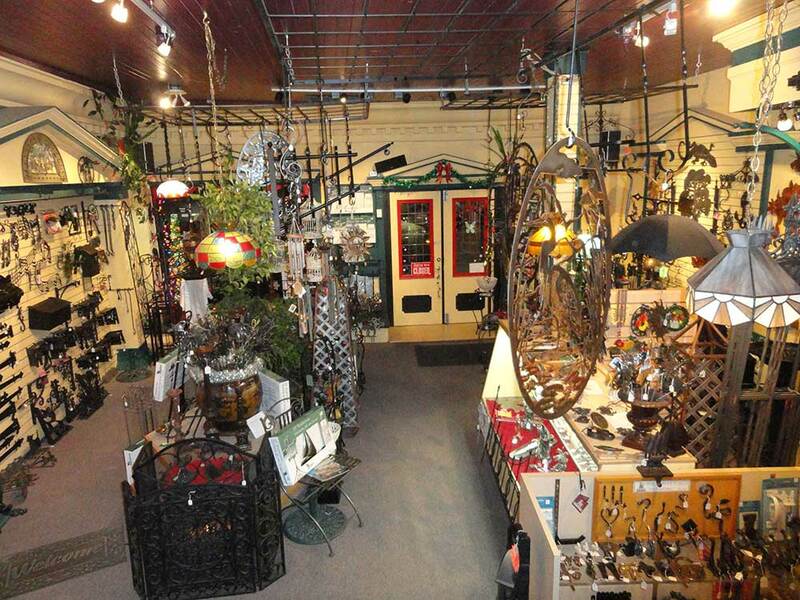 The showroom is full of very unique and exciting metalcraft items. 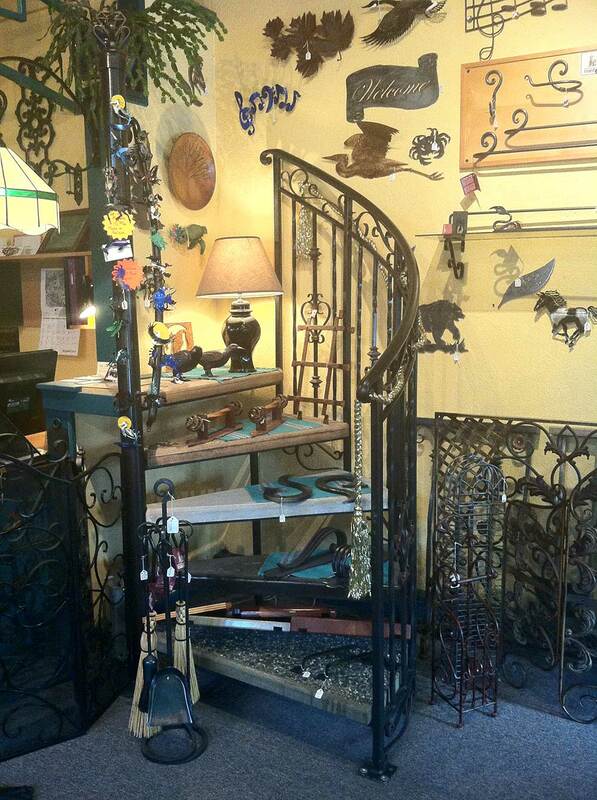 Shelf brackets, coat hooks, plate racks, chimes, gardening items, gifts, come in and see the always changing selection. You’re sure to be very impressed! Our aluminum castings are cast with steel tabs in them so we can weld them to steel or aluminum, but people use them for all kinds of other projects. Because they are aluminum they are very light and easy to drill and trim. 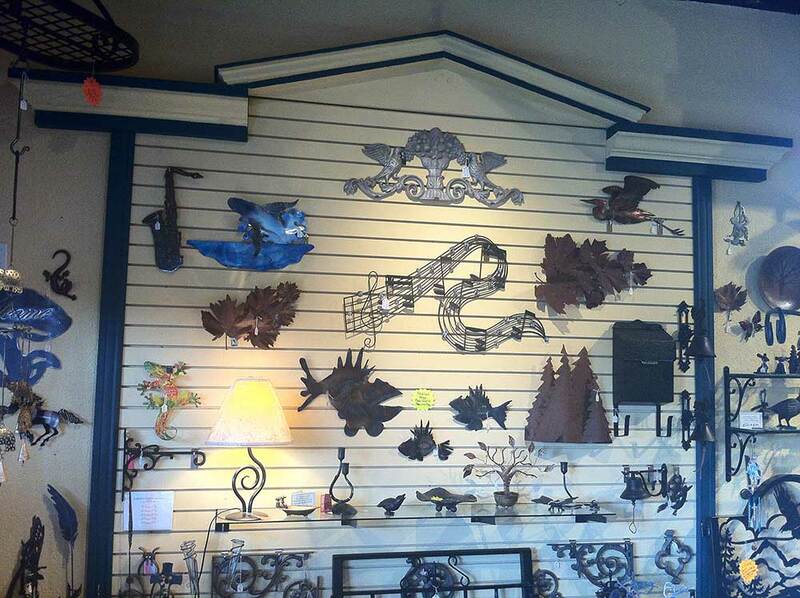 For instance we have people who chose a theme of various shapes to mount on the wall instead of a headboard. 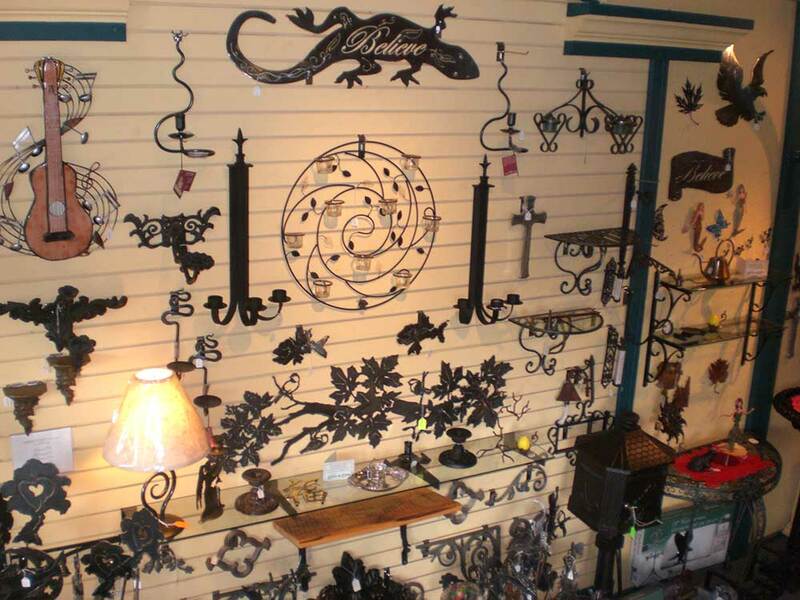 The aluminum castings are very easy to work into a wood gate like a window or just mount on your wood fence or garden shed. We sell them unpainted so you can paint them any colour you like, just use paint that is for metal, there are many colours, brush-on or spray. Because they have many highs and lows to the cast they take to a two part paint job extremely well, for instance if you paint it first with a light colour and let it dry, then paint with a dark colour and wipe it off the high points of the cast before it dries, you have a great patina appearance in any colours you like. GEM Gates is available to discuss and assist with your basic and more complex gate automation projects. 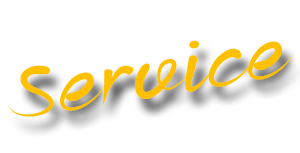 Just call or email and we'll provide you with the advice and technical support you need promptly, or set up an appointment for you to discuss your unique needs one on one. 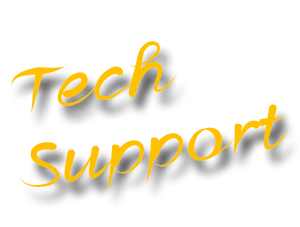 We then provide ongoing technical support for our products throughout the installation process and into the future. In greater British Columbia, we can often refer a technician near you from our constantly growing network of associate companies and installers. Our mobile facility will be traveling throughout British Columbia to provide products service and technical support. 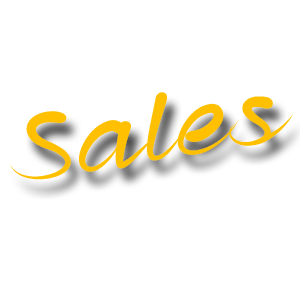 Our sales and support team can advise regarding your design and help you select the ideal package including the components that will work best for you and your customer. See our online store for Packages or Components, Accessories & Manuals pages. Or email / phone us. We are based in Nanaimo BC, as well as being mobile throughout central BC and we can ship anywhere.